Update: Well over an hour after "the most anticipated dinner between US and Chinese presidents in years" was over, Chinese state-run TV, CGTV, finally reported that Trump and Xi had agreed to keep the US-Chinese trade war from escalating with a promise to temporarily halt the imposition of new tariff, effectively declaring a truce. As part of the truce reached between the two leaders, no additional tariffs will be imposed after Jan. 1, CGTN reported. Meanwhile, according to the White House, Trump and Xi had a "highly successful meeting", with the White House saying that Trump had agreed to leave tariffs on US products at a 10% rate after January 1 as China agreed to buy a substantial amount of products from the US. However, the trade war "truce" is only temporary: after 90 days, if a trade pact is not reached between the US and China, the tariffs will rise to 25% after all. XI OPEN TO APPROVING QUALCOMM-NXP DEAL IF PRESENTED AGAIN: U.S. Meanwhile, in order to achieve the temporary ceasefire, and in what may be seen as a victory for Trump, the White House said that China has agreed to start purchasing "very substantial" US agricultural, energy, industrial and other products "immediately" from the US to reduce the trade imbalance. Again, unless there's more here than meets the eye, this is hardly the predicted "cave" by Xi begging for mercy for US trade pressure. Not even close. Buying farm goods for tariff time-out is basically status-quo-ante, which is what China wants. Xi agreed to designate fentanyl as a controlled substance, “meaning that people selling fentanyl to the United States will be subject to China’s maximum penalty under the law,” Sarah Huckabee Sanders says, quoted by Bloomberg. If China actually enforces this, could help reduce opioid deaths. NEW: Xi agreed to designate fentanyl as a controlled substance, “meaning that people selling fentanyl to the United States will be subject to China’s maximum penalty under the law,” Sarah Huckabee Sanders says. If China actually enforces this, could help reduce opioid deaths. Finally, the White House also said that president Xi is open to approving the Qualcomm-NXP deal if it was presented again. And just like the the mega-M&A arb is back on the screen. Back in China, Vice Commerce Minister Wang Shouwen spoke to reports and said that US and China agreed to step up talks on canceling all tariffs. Finally, China's foreign minister Wang Yi held a briefing in which he said that US-China relations must be good following constructive trade talks, and that the two nations had agreed to exchange bilateral visits. Yi also said that China and the US had agreed to open markets to each other, with China agreeing to increase US imports as well as addressing its trade imbalance. Wang also said that legitimate US concerns will be resolved as China open and that China will step up talks to eliminate all tariffs. In short, Wang Yi said that Trump and Xi will step up talks to eliminate all tariffs, while in a blow to US-Taiwan relations, the Chinese foreign minister also said that the US would agree to continue upholding the one China policy. The truce was expected by many and hinted at by Trump's optimistic tone at the start of the dinner: “My relationship is very special, the relationship that I have with President Xi,” Trump said as the two men were seated. “This is going to be a very primary reason why we are probably going to be ending up. That said, aside from preserving the status quo on the current state of the trade war which means no additional tariffs and no hikes to the tariffs rates, nothing has really changed besides a few vague promises from both sides to reach trade utopia, something which both sides know will never happen. The much anticipated dinner meeting between US President Donald Trump, Chinese President Xi Jinping and their respective entourage, has finished, lasting more than two and a half hours, and concluding on a positive note on Saturday. According to the SCMP, discussion about de-escalating tensions between the world's two largest economies lasted half an hour longer than scheduled, which according to Bloomberg's Jennifer Epstein suggests that "the conversation might’ve been constructive." While details of the outcome are yet to be released, both sides reportedly looked happy at the end of the gathering, with applause heard in the room as the dinner drew a close. In fact, according to SCMP editor Chungyan Show, the dinner went "so well the two sides decide to take a "family photo" at the end - which is not something in the original plan." In fact, it is going so well the two sides decide to take a "family photo" at the end - which is not something in the original plan. As he was preparing to sit down with Trump, Xi was quoted as saying that he was “very happy” to be meeting with Trump after the conclusion of the Group of 20 summit, and that he saw the occasion as an “opportunity to exchange views”. “Xi Jinping said at the beginning that he was very happy to meet with the president,” China’s state news agency Xinhua reported shortly after the bilateral meeting began in Buenos Aires, Argentina. “Since the last meeting, there have been many new changes in the world situation. As two big countries, China and the United States have important influences and share important responsibilities in promoting world peace and prosperity,” the report quoted Xi as saying. 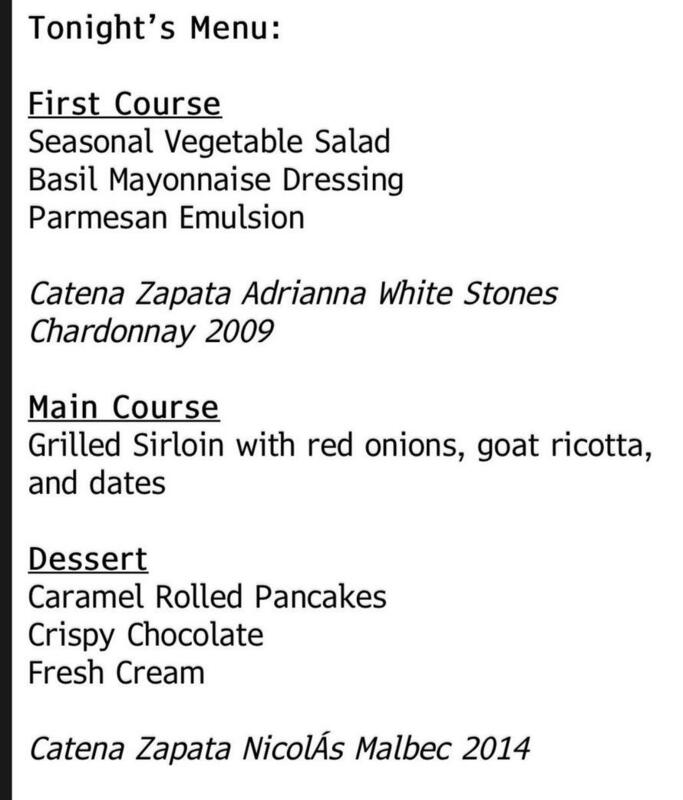 While the contents of an agreement, if any, have yet to be leaked, what is known is what was served during the dinner between Trump and Xi: grilled sirloin steaks paired with a malbec from the Argentine winery Catena Zapata; it's unclear if that is bullish or bearish. Also, since Trump doesn't drink, he most likely had a diet coke. But in what may be the biggest surprise of the night, Trump reportedly rolled away from the Park Hyatt hotel and headed to the airport and back to D.C., and there has bee no readout from the White House yet of his meeting with Chinese President Xi. Speaking to reported on Air Force 1, which appears to have already taken off, Larry Kudlow says the working dinner with Chinese officials went “very well." Traders, investors, pundits and reports are all hoping that Trump will have some (encouraging) comments for them from Air Force 1, or else the most expected dinner in years between the two leaders will have been an epic dud.